To enhance a patient’s appearance, we cosmetic doctors must treat the face in its entirety. Rather than approach each injection with the goal of filling an individual fold, injecting the face anatomically allows us to restore volume in a more natural way while improving the silhouette of the face. The deepening of nasolabial folds reflects an overall loss of facial volume. No part of the face operates in isolation. As the bony skeleton of the nose enlarges over time, the inferior area at top of the nasolabial fold also starts to sink, causing pockets to deepen. I treat this area with a two-pronged approach, using hyaluronic acid filler like Restylane(r) or Juvéderm(r) to fill the pocket along with Sculptra(r) to lift the top of the nasolabial fold and restore the position of the nose. While fairly new to Canada, Sculptra has a proven track record in the United States for its ability to deliver natural, subtle improvement as it stimulates collagen growth over time. I have also found that patients can look unnaturally full when fillers and neurotoxins are injected only in the front of the face. 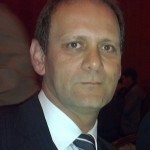 Instead, I have started to inject in front of the ears, temples and jaw line to create a naturally refreshed appearance. The preferred means of injecting has evolved as cannulas have begun to replace the standard needles typically used for injecting. Cannulas feature a blunt tip – this means a lower chance of bruising and more importantly, less risk of hitting a blood vessel. Cannulas also allow us to inject into the deeper planes and fat pockets of the face, giving more natural restoration. And because the results are much more subtle, patients can avoid the dreaded, overdone “chipmunk” look. Did Rachel have work done? If you’ve ever shaken someone’s hand and come away with a hand full of sweat, you know what problem sweating is. The medical name for it is hyperhidrosis. People with problem sweating have a hyperactive reaction to stimulation of the sweat glands. Normal everyday encounters, such as holding or shaking someone’s hands, are embarrassing. A 23-year-old tells Allure magazine, “I don’t even have wrinkles, and I’ve had Botox twice. I wasn’t trying to look better through the miracle of science; I was actually trying to smell better.” She had excessive sweating since her teenage years, especially under her arms. She always worried about playing sports and when the temperature soared at a party. As the sweat glands are to be immediately below the skin (where the dermis and the underlying fat meet), Vaser Ultrasonic energy can be utilised to remove and destroy the function of these glands without damaging any other tissues in the area. The Vaser Procedure for Excessive Sweating is intended to reduce sweat PERMANENTLY to normal levels, not total elimination of sweat. The aim of the Vaser Procedure for Excessive Sweating is for a vast improvement in the condition. Following clinical suitability evaluation the procedure can be carried out in an outpatient setting. The procedure is performed under local anaesthesia to make you comfortable. A small Vaser Probe is inserted under your skin, to deliver safe ultrasonic energy in order to emulsify the superficial layer of fat in the armpit where the sweat glands are. 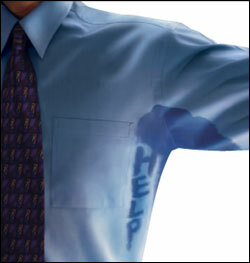 The VASER procedure for excessive sweating is a simple procedure and is carried out in an outpatient. Recovery is very quick. 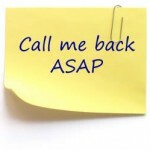 You can even return to your daily routine the day after your treatment if you wish. The Jowls…they keep getting saggier! Do you hate your jowls and sagging neck! None of us likes to see sagging jowls along our jaw line. A smooth clean jaw line and neck creates a fit youthful look to the face. As we age, our facial skin loses elasticity and we begin to see a fold of skin along the jawline below the mouth, commonly called the jowl. The line running from the corner of our mouth to the jaw and jowl is called the marionette line, because the line looks like the line beside a puppets mouth. • Repeated Mouth Movements-Smiling and facial expressions pull at the corner of the mouth and create a fold or line over which sagging facial skin can fall. Above the mouth this fold is called the nasal labial fold. Below the mouth the line is called the marionette line-also called the pre-jowl sulcus. Traditionally jowls have been removed by performing a face lift. More recently new non-surgical methods have also been developed. The facelift is still the “gold standard’ for jowl removal. A properly done face lift can create a beautiful youthful jaw line. Minimally invasive approach to suspending the jowl area. Liquid Face Lift-Soft tissue fillers such as Restylane™, Juvederm™, Radiesse™, and Perlane™ are biodegradable semi –solid medical compounds that can be injected underneath facial lines to plump the skin. 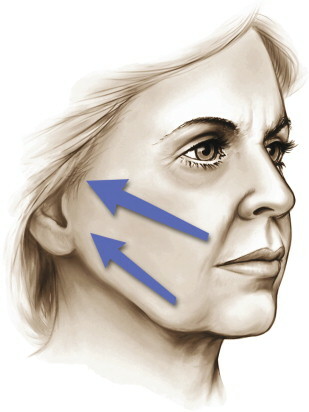 More recently, a technique called the liquid face lift is used to inject these soft tissue filers into areas of the face which have lost fat. By increasing the volume in these areas the sagging skin can be lifted. AntiLax machine delivers infrared laser and modulated bi-polar radiofrequency energies to tighten the skin aroun the jowl and neck areas. Skin Tightening is completely non-surgical non invasive technology. The AntiLax technology tighten skin by heating the collagen in the deeper skin layers. 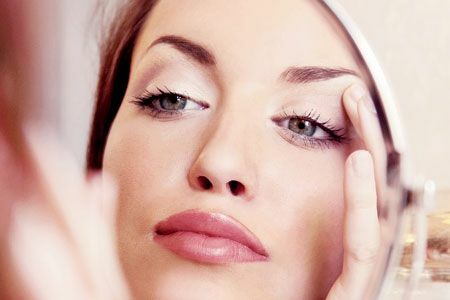 When the collagen is heated to 66 degrees centigrade, the skin collagen contracts and the skin tightens. Tightening with AntiLax method gives a substantial 20-30%, and is most effective on younger patients with early and mils skin laxity and early sagging. New VASER liposuction technology using targetted ultrasound energy, can be used to remove excess fat and tighten neck skin and skin along the jaw line. The technique is done under local anaesthesia. However, early jowls and double chin can be successfully removed with this technique. In addition to being your body’s largest organ, the skin is an indicator of your overall health and wellbeing, so it deserves some TLC. Follow these five steps to welcome glowing, flawless skin. Skip the tea and fizzy drink and stick with water. Drinking water helps to balance pH levels, remove toxins from the body, and give a youthful look and feel to your complexion. Stay hydrated with at least eight glasses of water a day, and seek out fruits and vegetables with a high water content, like watermelon, cucumber and leafy greens. Here’s a tip: Try drinking a big glass of water right before bed – you’ll be amazed at the difference in your skin when you wake up. Commit to exfoliating your skin at least once a week. Try the Clarisonic Sonic Skin Cleansing System which features an oscillating brush head to help dislodge impurities and gently exfoliate dead skin. Removing dead skin from its surface will allow newer, softer and smoother skin to emerge, but be careful not to overdo it as there is a gentle balance between exfoliation and hydration. If your skin stings during exfoliation, apply a calming moisturizer. Think of antioxidants as your skin’s lifeline to good tone and texture. Apply an antioxidant-rich serum or lotion each morning to protect your skin against free radicals. Look for one with coffeeberry, Coenzyme Q10 or a mix of vitamins-C and E are favorites-like SkinMedica(r) Vitamin C+E Complex. This not only locks in hydration, but will also give your skin a healthy glow. Defend your skin against the sun by applying a sunscreen with an SPF of at least 15 daily. Nothing ages you faster than the sun and its damaging rays, and a daily dose of SPF will prevent the UV damage that leads to dull skin and brown spots. Use a good night cream with retinol or vitamin A to turn back the clock while you sleep. Take advantage of your skin’s natural repair cycle-even as you sleep, your moisturizer will be working double-time to minimize the appearance of fine lines and existing sun damage. SkinMedica’s Tri-Retinol ComplexTM features a sustained-release system that delivers vitamin A slowly to minimize irritation.